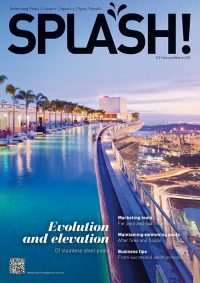 Leading pool and spa suppliers from Europe, Australia, the United States and Asia are preparing to gather at the upcoming Piscine SPLASH! Asia in Singapore. The event will be held at Marina Bay Sands in Singapore on May 20-21, 2015, showcasing the latest innovations in the industry. More than 60 companies from 13 countries will be exhibiting, including market leaders Pentair, Fluidra Singapore, Procopi, Australian Innovative Systems, Hayward Industries, Maytronics, Team Horner and Waterco Limited. The exhibitor list is available online. To assist visitors with planning their day at the show, buyers can now plan their route between exhibitors, using a new feature on the website, allowing for a seamless visitor experience. The organisers have announced a new feature designed to make the most of face-to-face time, and increase business opportunities for both visitors and exhibitors. The new Speed Business Meetings will facilitate networking at the event and provide exhibitors with a targeted audience of buyers, shortening the decision-making process with the aim of increasing sales. The winners of the Pool Vision Award for 2014 will be announced at Piscine SPLASH! Asia, organised in partnership with Archi-Europ Group. Swimming pool projects have been selected from many countries around the world and judged from technical and aesthetic viewpoints. There will be a winner in the Asia selection for each of these categories: Private Pool, Public or Hotel Pool, and Spa. Two projects in each category will be presented and the winners will be announced during the exhibition. It is anticipated Piscine SPLASH! Asia will attract approximately 1500 visitors from more than 30 countries, including Singapore, Malaysia, Indonesia, India, Vietnam, Thailand, Sri Lanka, Philippines, Hong Kong, Australia, Cambodia, Myanmar and Bangladesh. 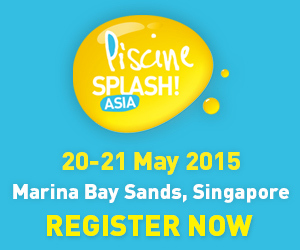 Visitors can now register online at Piscine SPLASH! 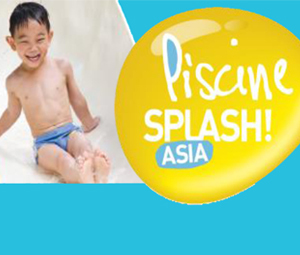 Asia or email info@piscinesplashasia.com for more information. Any company wanting to exhibit should contact Karen Jaques or their area rep.